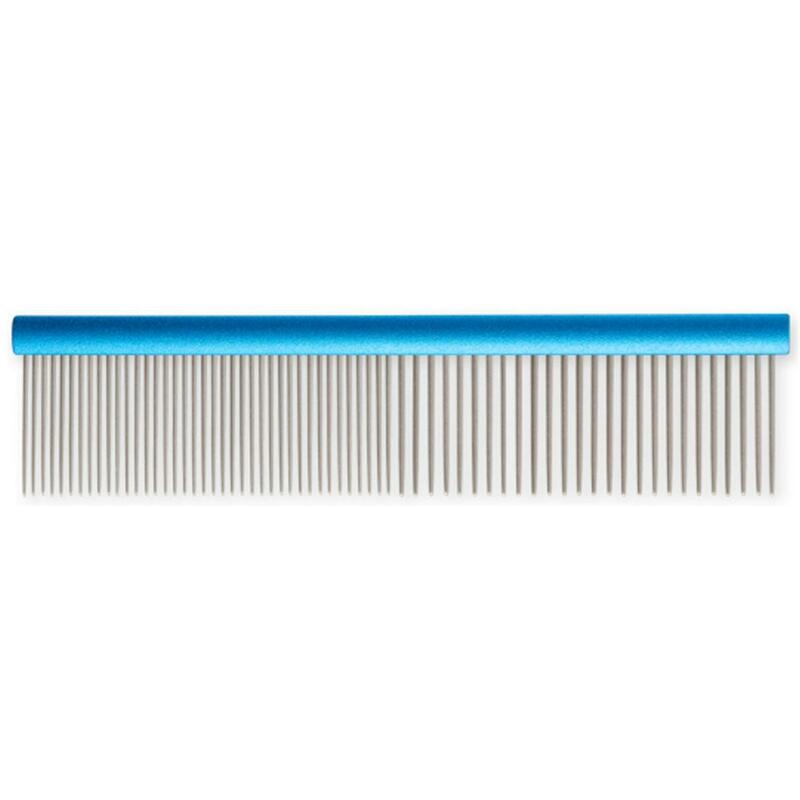 The Ancol Ergo Double Sided Comb is a pragmatic tool to detangle and smooth your pet's coat. One side of the comb has wide teeth, to gently detangle wiry, long, silky and curly coats. The other side has finer teeth to smooth and neaten fur and remove loose hairs, suitable for shorter coats or longer coats that have been detangled. The medical quality stainless steel pins are rounded at the ends to prevent discomfort and be gentle on your dog's skin. This brush has an ergonomic handle for comfort and effective use.